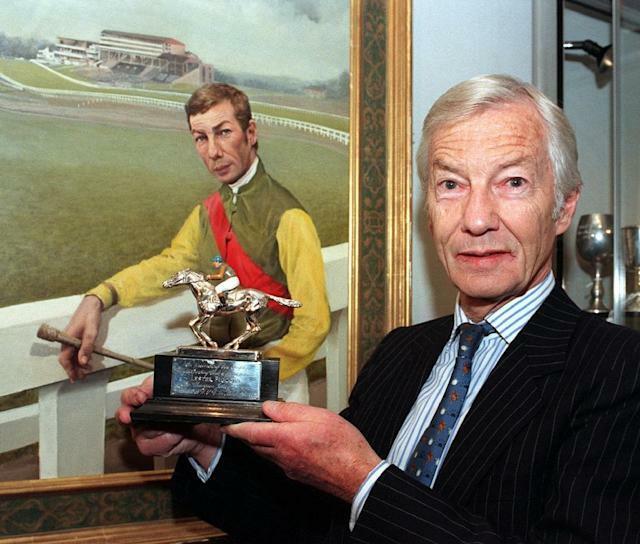 London (AFP) - Lester Piggott, widely regarded as the greatest ever flat race jockey, has been admitted to hospital although his family say it is for purely precautionary reasons. The 83-year-old, who rode 30 British Classic winners including a record nine Epsom Derbies, has suffered from heart issues in the past. "He'll be in for a few more days but was taken in as a precautionary measure," Piggott's daughter, Maureen Haggas, told the Racing Post after visiting him in hospital. Known as 'The Long Fellow' -- because at 5ft 8ins (1.73 metres) he was tall for a flat jockey -- Piggott racked up 116 victories at the prestigious Royal Ascot meeting. He battled to keep his weight down and subsisted on a diet of champagne and cigars and regular visits to the sauna. "He's in good shape considering he's been abusing his body since he was 16," said Maureen, wife of leading trainer William Haggas. Piggott was sentenced to three years in jail in 1987 after being found guilty of an alleged tax fraud of more than Â£3 million. With time off for good behaviour he served a year and a day. Showing his trademark resilience he returned to the saddle -- he had not flourished as a trainer -- in 1990 aged 54 and produced one of the more remarkable sporting comebacks. Less than a fortnight later he rode Royal Academy to victory in the Million dollar Breeders' Cup Mile for iconic Irish trainer, the late Vincent O'Brien. Despite serving time many believe he deserved a knighthood -- fellow jockeys such as Gordon Richards and AP McCoy have been ennobled by Queen Elizabeth II.